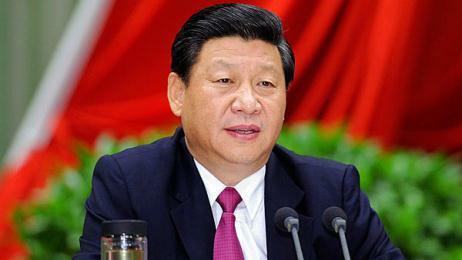 China's leader Xi Jinping has called for early conclusion of negotiations on text of China-US trade agreement, Sputnik reports. On Friday, Chinese Vice Premier Liu He met with US President Donald Trump in Washington. The statement on the results of the talks between the two officials read on Friday that He had passed Xi’s oral message to Trump during their negotiations. According to the statement, as cited by the Xinhua news agency, Xi expressed hope that "the teams of the two countries on trade and economic issues will continue taking into account the concerns of both sides on the basis of mutual respect and will conclude the negotiations on the text of the agreement as soon as possible." Earlier, Trump said that Washington and Beijing have a global responsibility and that a US-China trade deal would be a "tremendous thing for the world." China and the United States have been engaged in a trade row since Trump announced in June that the United States would subject $50 billion worth of Chinese goods to 25 percent tariffs in a bid to fix the US-Chinese trade deficit. The two countries have exchanged several rounds of trade tariffs. In December, Trump and Chinese President Xi Jinping agreed upon a 90-day truce to allow room for a new trade agreement. The truce was set to end on March 1 but after the latest round of consultations, held on February 21-24, Trump agreed to postpone the introduction of new tariffs.